Flagging New Year is this week, and we’ve got our groups drawn! Thanks again to everyone who watched the live draw! If you missed out on all the reaction at the time, you can see the video HERE! Ladies and gentlemen, the champs are here. Last year’s tournament winners had a stellar 2017 after emerging victorious at FNY2. 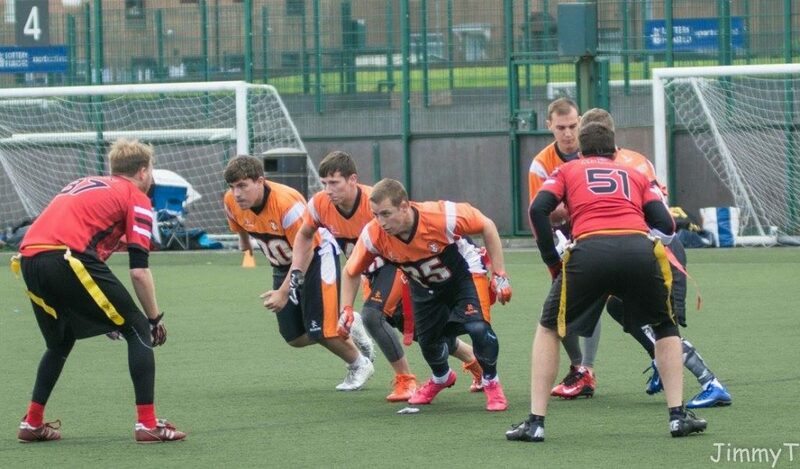 They won the BAFA leagues in comfortable fashion, beating last year’s winners, the London Rebels (three times! ), and the previous year’s champs, the Birmingham Lions, on their way to the league crown. On foreign soil, they came 9th at Big Bowl, losing only one game on their way to a somewhat disappointing final placing, and also came 3rd overall at the competitive Pink Bowl tournament. The team is led by the excellent Vince Machi at quarterback, but he has a plethora of receivers to throw to. 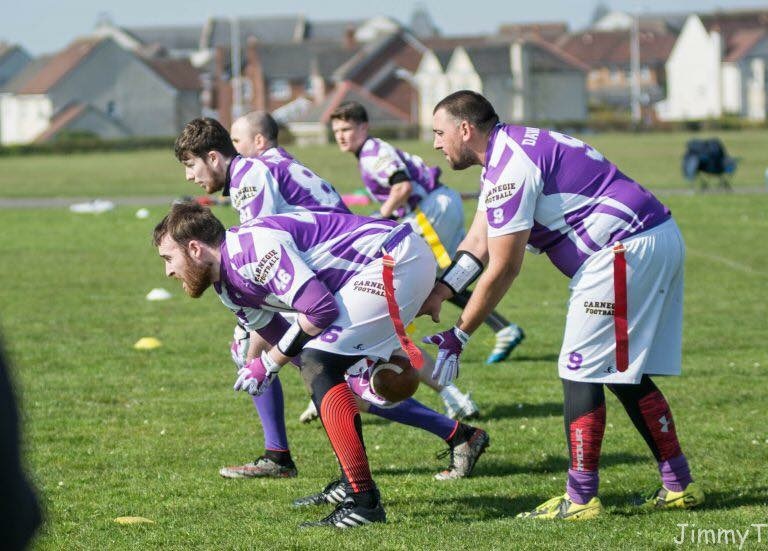 Every pass-catcher would likely be a star on another team’s rosters, but bring different attributes to make the Buttonhookers’ offence the most feared in the UK. Carl Szabo brings unrivalled physical tools, while Steve Mongey has sensational route running and speed. The ‘Hookers added to their league winning roster with the introduction of GB Lion Michael Bradley-Banszki. Defensively, Ryan Loftus and Josh Nicholson are the standouts for Baker Street’s stingy and opportunistic defence. 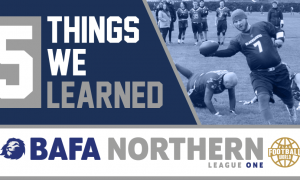 The Blackhawks have been quietly one of the most consistently successful teams in the BAFA leagues for a number of years, making the playoffs in consecutive years. This year however, they took a huge step forward, finishing the regular season undefeated, and advancing to the Northern Playoffs as the #1 seed from the MEC. A tough loss at the final hurdle before Britbowl to their biggest rivals, the Sheffield Giants, was a bitter pill to swallow. But they’ll feel good about a number of players who stepped into key roles as the season wore on, and the future looks bright for the Blackhawks. The strength of this Blackhawks team is in its defence. Their top threat is blitzer Phil Watson, whose height and control can cause all kinds of issues for opposing QBs. James Campbell is the resident ball-hawk for the Blackhawks (…sorry) while the rest of the defence are strong tacklers who limit any YAC from the advancing offence. On offence, Ewan Miller calls the shots for a methodical offence, which has the dangerous Mantas Ceckauskas as their main target. 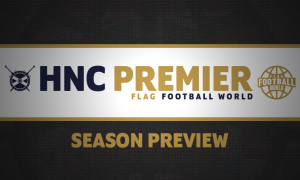 The Broncos won the inaugural Flagging New Year back in 2016, and have been perennial playoff contenders for the majority of the decade. 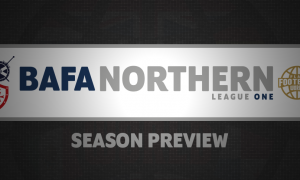 They’ve got an excellent set up, and looked primed for another run at a championship last year with their talented roster, which included the HNC QBOTY, Scott McKenzie. They were flying through their schedule, including a comprehensive victory (well, in the first half) over the Aberdeen Oilcats. Their season ran into a buzzsaw however. 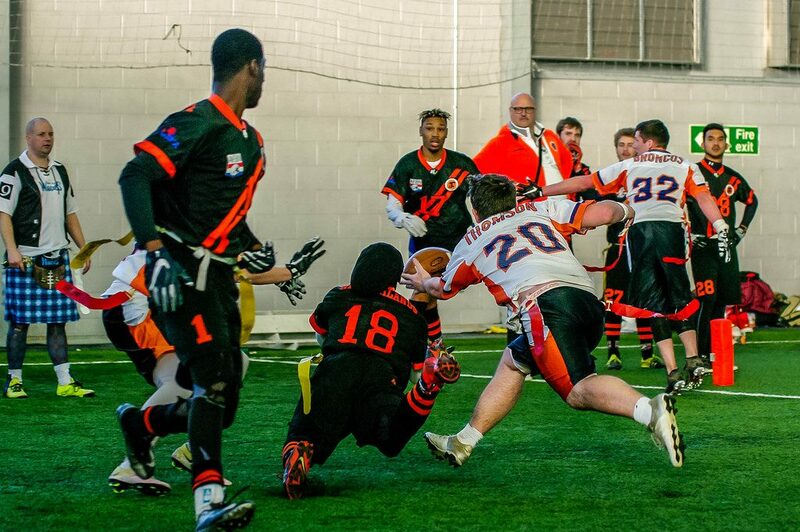 They were comfortably beaten by the Glasgow Hornets in their final regular season game, and put in a disappointing performance against the Oilcats in their playoff fixture, ending their year prematurely. 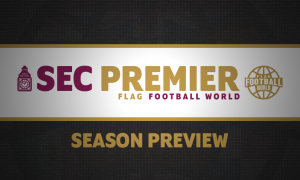 Still, they can feel great about where their roster is, as they have the potential to match up against any team in the BAFA leagues, and will look forward to the challenge of the European teams. The high-powered Broncos offence has speed to burn, brought to you exclusively by the Woods clan. Callum and Kevin have played for the Broncos through the junior ranks, and have made a huge impact on the senior squad. Kevin can stretch the field with his excellent hands and pace at WR, while Callum is a matchup nightmare from the centre position. 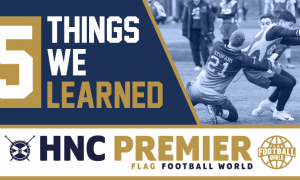 On defence, Liam Fleming contributes to the cause with a number of flashy interceptions, while Fraser Thomson shows time and time again why he’s considered to be one of the best defensive minds in Britain. The Russians head to Britain for the first time in recent history for their first international expedition as a makeshift national team. While not much is known about the Russian outfit, they will know a lot about their opposition, as Lev Petukhov keeps tabs on the UK league. We anticipate the Russian squad will be made up of a number of Zyuzino Zombies and Moscow Tough Nuts, both of which have tournament experience under their belt. While this is a big step for Russian flag football, we hope this is just the start of the growth of the game in the country. There’s plenty of talent, and the Russians will be a dangerous proposition for any opponents. The Cowboys enter their first UK tournament after a banner year for their flag program. After winning the Emerald Bowl last season, the Cowboys earned their a trip to Champions Bowl in Klosterneuburg. 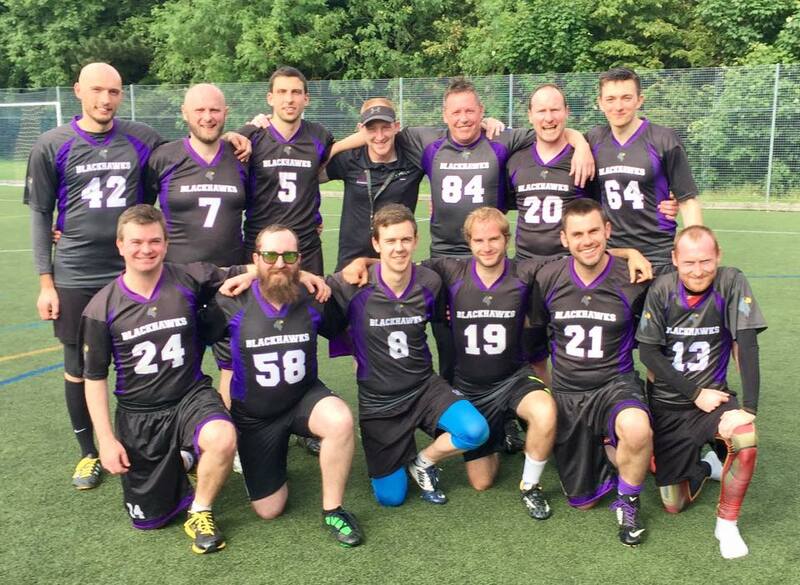 With a patchwork squad, the Cowboys put in a number of spirited performances, including an entertaining game against the Walldorf Wanderers, who they could meet at this tournament. Unfortunately, they failed to reclaim their Emerald Bowl crown, finishing 4th in Ireland. As for as their talented players, it was Jamie Wilson who had defenders wondering what had just hit them in Austria, as the shifty receiver utilised his awesome speed to find the end zone on multiple occasions. Conrad Smith was a reliable target for his QB, while Jo Buchanan deserves commendation for having his small, makeshift team stay competitive against much stronger competition. Carnegie enter their third Flagging New Year, but that’s about the only thing consistent about this program. 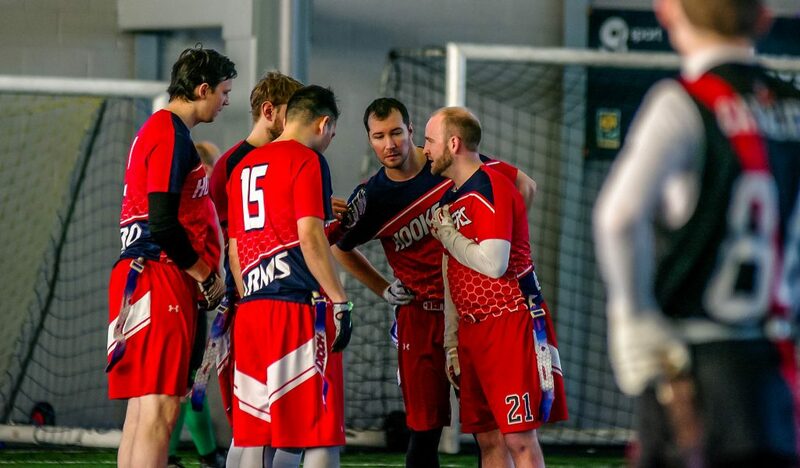 After a number of seasons entering two teams into the league and invitational tournaments, they’re finally pulling their resources together to enter one team under the Carnegie banner. 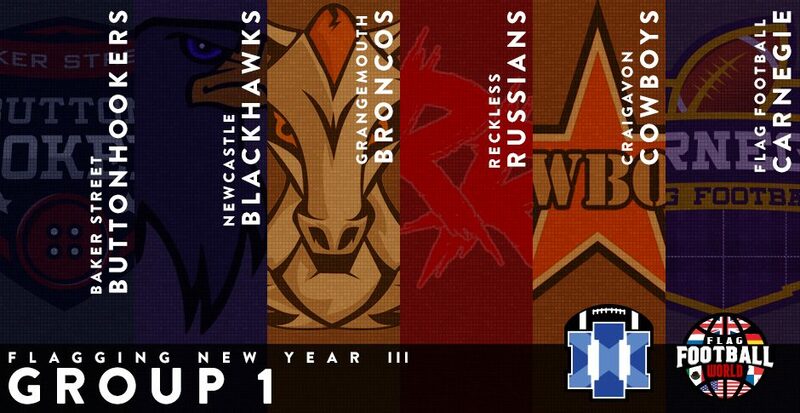 Both the Steelers and Renegades narrowly missed out on playoff football, but with a combined and focussed effort, they could be significantly improved coming into this year. We’ll find out first at Flagging New Year! 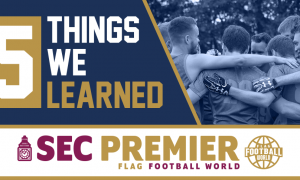 The Renegades always seemed to have the more flag savvy, as they were aided both on and off the field by former Kirkcaldy Bulls, John Guthrie and Neil Arnold. Meanwhile, the Steelers squad had a few exciting prospects in Brandon Lamb and Aly O’Mahoney. This could be a dangerous team if they can put the pieces together, but they’ve found themselves in a tough group, and will look to use this tournament as a springboard for their season. We were hoping to see Baker Street get a tough team from any of the pots to test their mettle. Don’t get us wrong, we love the Buttonhookers, but competition is what makes FNY so exciting. They’ve got that in the Grangemouth Broncos for us. This is the type of team that Vince Machi doesn’t really like to play against. The Broncos are somewhat similar to the Dutch Lions on defence, as they stick to receivers like velcro, even if you would expect them to be physically outmatched. The Buttonhookers’ only loss at Big Bowl was to the Novo Mesto Knights, who themselves are built similarly to the Broncos, so this could be an exciting matchup. 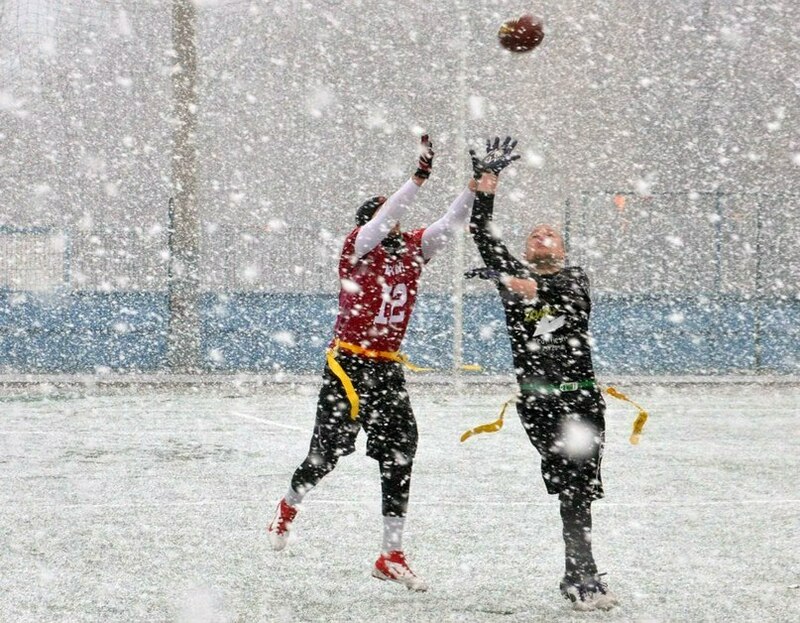 The Blackhawks taking on the Russians will be a battle of one of the best teams from the BAFA leagues against a relative unknown from the continent. With so little known about the Russians, it might be a huge advantage that Lev has been keeping an eye on teams from the British shores. The Russians are bound to be organised, but the Blackhawks prepare themselves excellently for the big occasions. We’re looking forward to how these teams match up, as both will present the other a stiff challenge. For Carnegie, they’ll be looking at their game against the Cowboys as their best chance to make an impression. The former Irish league champs will hopefully field a strong team, and will want to represent their nation with pride. They’ve got plenty of talent in their midst, but they’ll face a Carnegie team who have a lot of experience under their belt now, especially after their impressive trip to Pink Bowl. The most likely battle will be for second place between the Broncos, Blackhawks and Russians. The Buttonhookers figure to have too much for the other teams, both in terms of raw talent and tournament experience. The Broncos have pedigree as former champs, but don’t count out the Blackhawks. The Russians present an unknown quantity, however we envisage that they’ll have a slow start as they try to build chemistry. This’ll put them behind the eight ball, as they have an early start against the Broncos to look forward to. If we’re pushed for who finishes second, we’ll give it to the Broncos. They’re the “home” team geographically speaking, so they’ll just pip the Russians and Blackhawks to the second place crown. The Blackhawks themselves will be without the services of Mike Dunn, who was a big part in their undefeated regular season last year. The Blackhawks and Russians will finish 3rd and 4th respectively, while we see the Cowboys coming in at 5th. If they’re missing any of their starting squad, the Carnegie team will finish above them. So those are our predictions! What do you think? Let us know in the comments below!